The Phenylketonuria is one disorder that causes mental problems in the child. This disorder results in problems with the metabolism of the newborn and cause defected mental growth. The Phenylketonuria is a toxic element that damages the brain and causes permanent mental problem as the effected brain can never be cured. However, if the Phenylketonuria is detected in a newborn then it can be treated before it starts damaging the brain. The newborn has to maintain a special diet for the rest of the life once treated on the childhood. This is the only way to provide the newborn with a possible normal; life. The Galactosemia is another disorder that can be seen in newborns. The Galactosemia makes the newborn’s metabolism weak and causes the liver to become larger than normal. The problem doesn’t stop there as it can damage many other internal organs of the body with permanent brain damage. If left untreated then Galactosemia can result in defected organs or even death. The only way to treat it is to determine the problem in a newborn and take proper actions immediately. Otherwise, the Galactosemia causes fast deterioration of the health condition of the newborn. The Congenital adrenal hyperplasia is one of the most dangerous conditions of an infant’s health as it can cause death eventually. The Congenital adrenal hyperplasia causes the adrenal gland to reduce fewer hormones than required which causes many kinds of defects in the newborn. The amount of salt in the kidney decreases in kidney and the newborn faces deadly health issues and can even die. The Congenital adrenal hyperplasia is to be treated at the early days for the cure of the baby. To have a properly working immunity system and the nervous system the newborn needs vitamin H, which is a type of vitamin B-complex, but if the baby is suffering from Biotinidase Deficiency then the amount of vitamin H creation decreases in the body. The lack of biotin causes this and that happens only because of Biotinidase Deficiency. It can cause many physical deformation and death. The babies can only be treated by providing them with biotin. The Sickle-cell anemia is one of the strangest deficiencies in the newborn. The red blood cells change in shape and look more like sickles and that is where the Sickle-cell anemia name comes from. It causes the blood cells to carry less oxygen than required and the newborn faces health issues like infections and breathing problems which can lead to death. Only early treatments can sure the baby from it. The good news is that almost all these disorders are treatable. 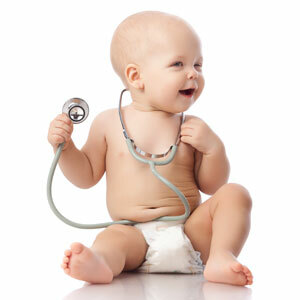 The experts prefer that you take the newborn for screening tests within 72 days of the birth. These problems can only be treated when the disorders have not started to deteriorate and for that you have to take the newborns for the tests as soon as possible or else it may go out of hand.